Developments in paper-making during the 1850s and 1860s ushered in what observers on both sides of the Atlantic would call an “age of paper.” By 1862, Howard Paul was performing a song by that very title in English music halls—clad entirely in paper clothing. Audiences must have greeted the visual spectacle with a mixture of fascination and doubt, both of which were mirrored in the comic lyrics. The song spelled out paper-wear’s prodigious advantages: no soap would be necessary for washing, only a rubber eraser, and if children tore their clothes, the mending was as easy as applying sealing wax. But what would come of the women in paper dresses—“mere parcels filled with sweets”—if rain should ever fall on them? They would turn to “paper mash.” And what about the fashionable swell, a veritable “walking ream?” He would have to keep on his guard, for if he should “sneeze or start or spring,” the outfit “held together by paste alone” would fail him. None of this was actually so far-fetched. Besides collars, cuffs, and shirt-fronts, there were experiments with bonnets and hats, socks, vests, skirts, neckties, pantaloons, even corsets—all fashioned from paper. And the quandary was just as Paul presented it: how to safeguard these articles against moisture and the stresses of bodily movement. Walter Hunt of New York, also known for developing the safety pin and an early sewing machine, took out the first American patent for paper collars in 1854. And as the collar business took hold, it quickly became a game of rights and monopolies. The general trajectory was toward a product that was not only cheap enough to be disposable, but also durable enough to withstand a day’s wear, or perhaps even multiple wearings. Paper could crack at the folds and fray along the edges. Its buttonholes could tear through if damp with perspiration or rain. In fact, this trouble was part of the origin myth of paper-wear. By the most common telling, the story involved a clever artist who found himself invited to some aristocratic party but lacked a proper shirt. He snipped out a collar, bosom, and cuffs from paper, then penciled in the buttonholes and stitching. His company was none the wiser until the evening’s dancing wore on, and his fake linens began to curl and wilt, forcing him to bow out early. This, of course, was where the raconteurs of the paper age congratulated themselves, for the waterproof collars of the future might have spared the young artist his embarrassment. Scale of production was the chief distinction between early innovations in paper-wear and the flood of patents that followed later. 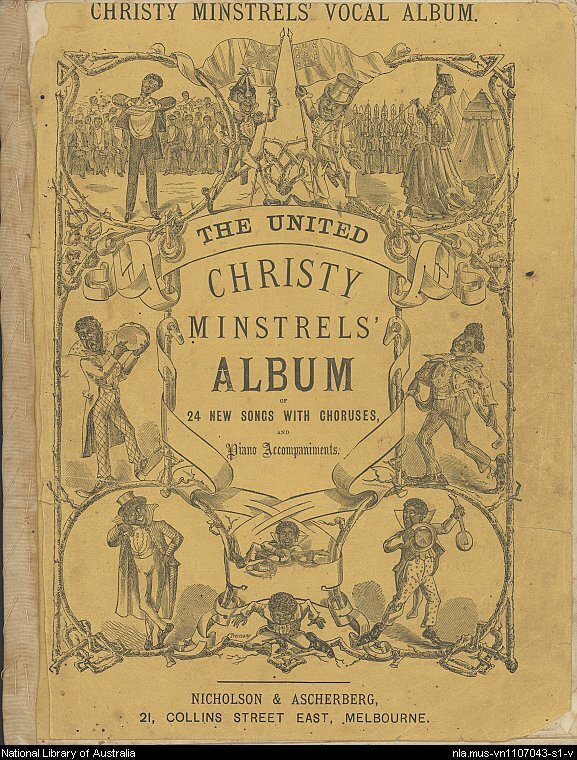 Disposable collars were said to be in use on the minstrel stage by the 1840s. For men who blackened their faces with a mixture of burnt cork and grease each night, and who were seen only at a distance, the advantage was obvious. In the early 1850s, collars were made in-house at White’s Varieties in the Bowery, home to one of New York’s original minstrel troupes. A property manager named Olmstead recalled cutting them out from wooden pattern blocks. Not unlike the artist with his pencil, he would sometimes prick them with a pin to give the illusion of stitching along the edges. Or he might paint them pink or blue, or striped, as if made from printed linen. The turn-down style could be fashioned from flexible paper, pinned to a cravat, and carefully folded over. Standing collars—often outlandishly proportioned to enhance the racial lampoon—were made from stiff Bristol board, glossy on the outside to repel the black make-up. Throughout the decade, Olmstead sold a few of his collars on the side, charging from two to five cents apiece. Yet the business never flourished because, as he himself recognized, he had no capital. In contrast, the mass production of the 1860s relied on an industrialized process for cutting, embossing, and folding, which in turn made the U.S. Patent Office a central player in the business. Hunt never mounted a significant operation, but before he died in 1859, William Lockwood bought out his rights and started production in Philadelphia. It was the first such acquisition in a long march toward monopoly, a campaign that would finally end in the courts more than a decade later. Hunt’s concept was also the first that laminated cheap cloth between two layers of paper, borrowing a technique already in use among map-makers. To give the collars the sheen of starched linen, he painted them with a clear shellac and passed them through calendar rolls—a pair of iron cylinders whose combined pressure gave the paper a smooth finish. Then, like Olmstead, he tooled the edges to give the appearance of stitching. But Hunt’s patents left ample room for improvement. Lockwood soon gave the paper a more believable finish by having a woven linen surface reproduced by electrotype and made into an iron die. This die would then stamp its texture into the collar paper. Lockwood also began printing colored patterns onto some of his stock, upgrading Olmstead’s method of painting them on by hand. 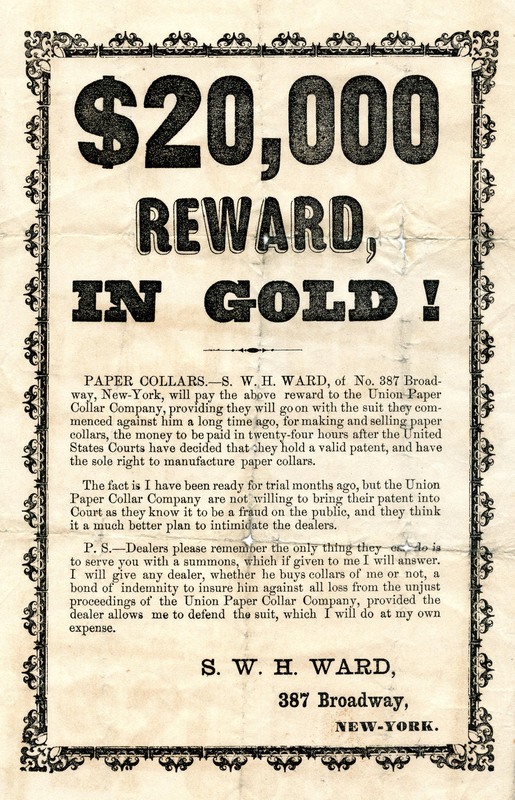 Paper collars still faced long odds at the start of the 1860s. The main component of paper pulp at that time was cotton rags, and the outbreak of the American Civil War in 1860 had put cotton in short supply. The crisis came to a head in 1862 when paper manufacturers conspired to raise prices. It was no surprise that the New York press that year was attuned to the novel enameled-steel collars coming from England, rather than to paper. Between January and October, paper prices had more than doubled, and by 1864 they would nearly double again. But new techniques in paper-making were coming online during these same years, and prices soon fell to record lows. Besides mechanical improvements, chemical innovations meant that newspaper and other cheap grades of paper could be made partly from straw, jute, and the now-standard fiber of softwoods. Cotton and linen rags were still the best ingredients for paper requiring strength and flexibility—as was the case with collar stock. With demand for rag paper down, paper collars were affordable once again. William Hunt patent drawings, U.S. Patent 14,019 (1856). Hunt’s collar is designed in multiple pieces to lend flexibility to and prevent splitting and cracking. With paper on the verge of a golden age, Solomon Gray and Andrew Evans of Boston registered patents in 1863 that would take Hunt’s plan in new directions. Evans proposed to do away with the cloth layer, instead using a paper whose long linen fibers made it more supple than other kinds and less prone to cracking and tearing. A more pliant material meant that collars need not be assembled from multiple pieces, as Hunt had done, in order to allow for movement. 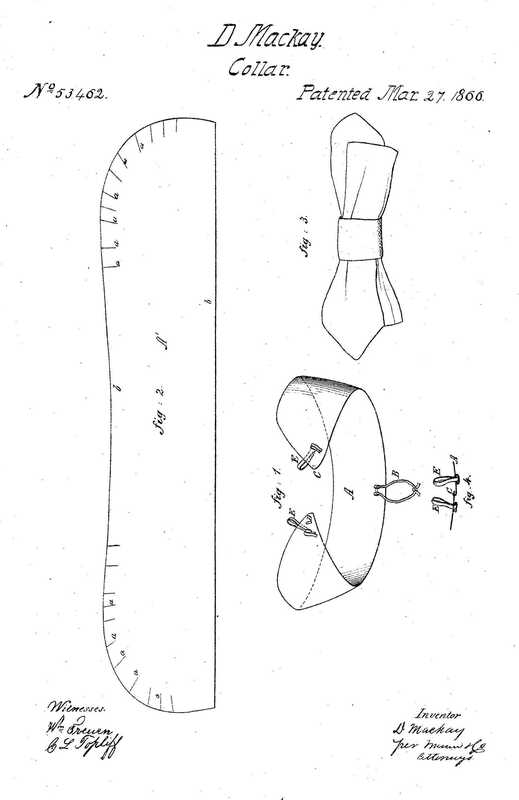 Meanwhile, Gray set about patenting collar designs to be cut from a single paper blank. But if better paper meant less risk of splitting, it did not necessarily promise comfort. To that end, he, Evans, and Evans’s relative Nathaniel Evans, Jr., all concentrated considerable energy on fitting these single-piece collars to the contours of the body. Nathaniel gave them a concave bottom so as to sit comfortably around the neck, while Andrew trimmed the ends that fastened together in front. 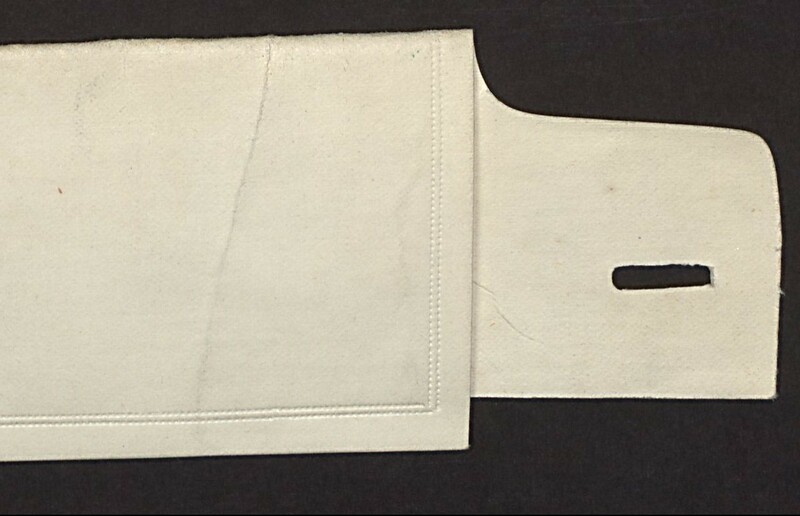 These corners would otherwise be “forced downward onto the shirt-bosom, causing an uncomfortable feeling to the throat and an imperfect fit of the collar.” By introducing a cut-away back on turnover collars, Gray also managed to keep the inner band from puckering when it was bent around the neck. And for standing collars, which fit too closely and chafed along the top edge, he began stamping a flared angle into the upper section to make it stand away from the body. Nathaniel Evans, Jr., patent drawings, U.S. Patent 41,692 (1864). Cutting and folding the collar on a curve caused it to sit more naturally around the neck. 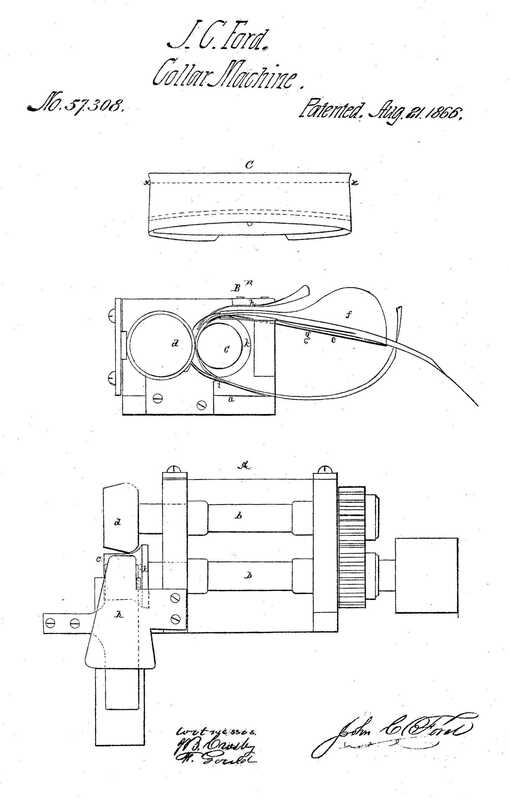 Andrew Evans patent drawings, U.S. Patent 48,802 (1865). Evans trimmed the corners of the neckband so as to keep them from pressing down into the neck. 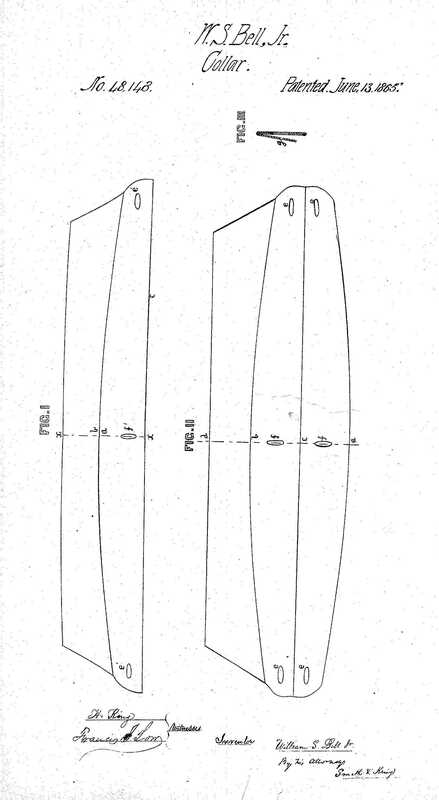 Solomon Gray patent drawings, U.S. Patent 38,961 (1863). By cutting the back of a turnover collar along a concave line, Gray kept the neckband from puckering when the collar was bent around a neck. Gray patent drawing, U.S. Patent 38,160 (1863). Gray used manual techniques to make the top of the collar splay outward from the neck. Making paper impervious to moisture was another matter. The shellac finish (often referred to as “enamel”) that dated back to Hunt was partly effective but not perfect. It helped to repel dirt, just as the starch did for linen collars, and it could even withstand minor spot-cleaning with a soapy cloth. But perspiration could still seep in at the buttonholes and cause them to fail. One solution was simply to reinforce the holes with patches of cloth. William Bell patent drawings, U.S. Patent 48,148 (1865). Bell’s plan for making collars more impervious to sweat involved doubling the thickness of the neckband. A flap that mirrored the neckband was folded up onto it, and the two were cemented together with a layer of shellac. David MacKay patent drawings, U.S. Patent 53,462 (1866). The frame at lower right was to be made of hard rubber or steel and covered with the disposable paper blank at left. The tabs around the edges of the paper allowed it to be folded over the frame and secured with an application of gum adhesive. Others involved more drastic steps. William Bell doubled the inner neckband in 1865 with an extra flap of paper, pasted down with another layer of shellac. David MacKay, an Army field surgeon during the Civil War, knew the needs of active soldiers and hedged his bets on disposability altogether. 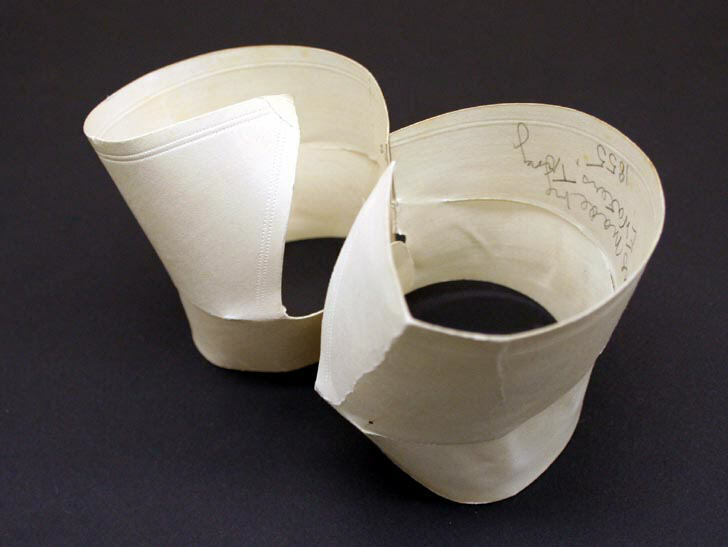 According to his patent of 1866, the collar’s basic frame would be a reusable structure of steel or rubber, to which one could apply paper coverings. The edges of the paper blanks folded over the frame and were secured with an application of soluble gum adhesive. MacKay’s invention never caught on, but all of these rumblings were leading toward the celluloid craze of the 1880s. Collars, cuffs, and bosoms made from the new plastic substance were both affordable, washable, and fully waterproof. In the meantime, though, paper collars reigned supreme. The New York Times estimated in 1866 that American factories produced 1.5 million of them per day, with about thirty manufacturing firms in operation. These plants relied extensively on young women to feed the paper through machines that cut, burnished, embossed, and folded it into collars. And indeed there were machines of all kinds being patented every year, each new improvement in collar design offering an opportunity for some mechanical innovator to stake out a corner of the industry. John C. Ford patent drawings, U.S. Patent 57,308 (1866). The machine’s rollers could press a flared contour into the fold of a collar to keep it from cutting into the neck. 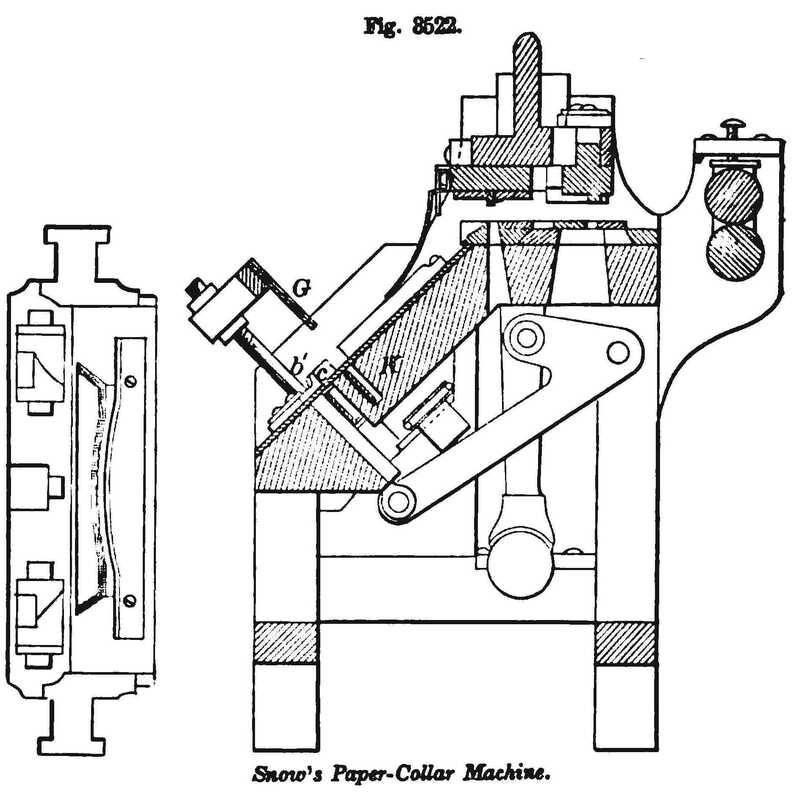 Cross-sections of George Snow’s integrated paper-collar machine, as detailed in Knight’s American Mechanical Dictionary (1884). The machine could cut out, fold, emboss, and punch button holes into paper collars within a single process. 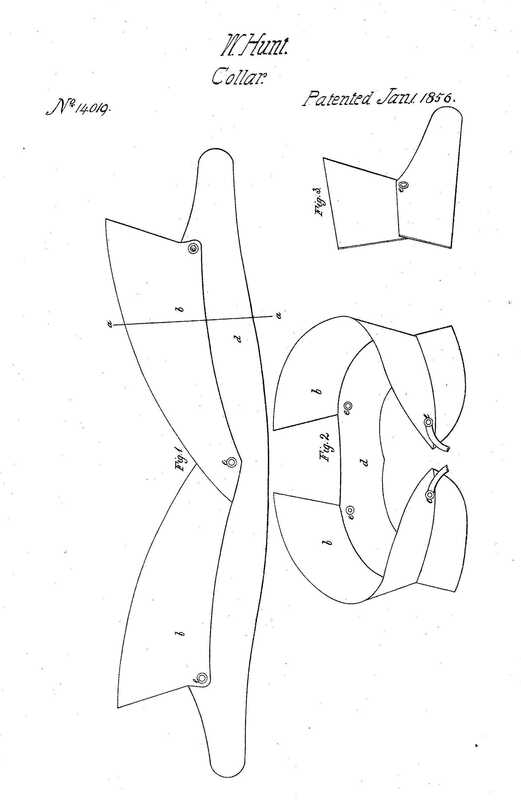 John C. Ford took Gray’s plans for a flared top and pucker-free fold, originally achieved by manual means, and integrated them into a special press that did the creasing and shaping in one mechanical gesture. Elsewhere, George Snow brought the standard cutting, stamping, and calendaring processes under a single piece of equipment. It had adjustable knives, textured dies for embossing, a blade and slot for folding, and rollers for finishing. And these devices were but tip of an industrial iceberg. The patent race reached a fever pitch around 1866, and by the turn of the next decade it came crashing down. Lockwood was the main instigator. In addition to Hunt’s early patent, he found a way of absorbing Gray’s and the Evanses’ as well. He made himself ringleader of a licensing scheme, whereby a roster of nineteen manufacturers pooled together their patents under the auspices of the newly formed “Union Paper Collar Company,” which then assigned them back to the individual members. The logic was that Union Collar would collectively have a lock on the market and could use its clout to prosecute or intimidate anyone selling collars outside of its authority. But outside firms, led by James Lyon of New York, refused to take the affront lying down. 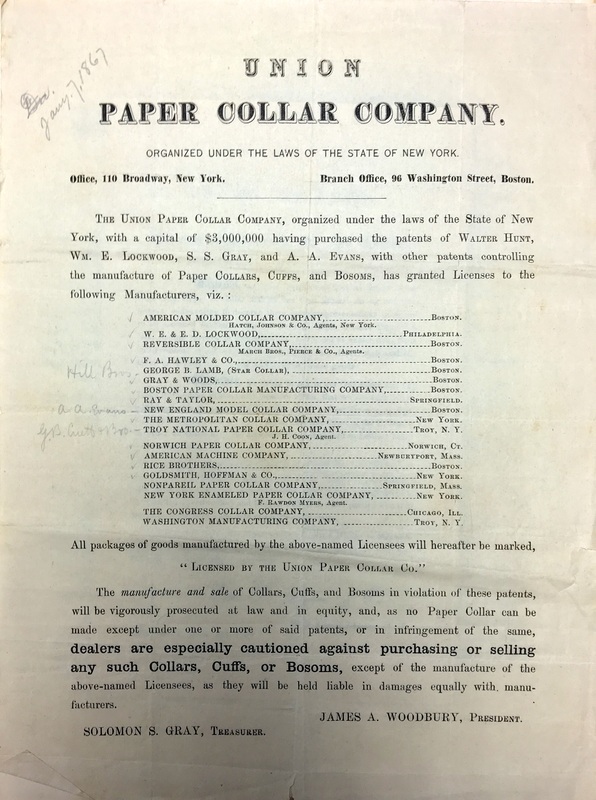 Fourteen of them banded together as the United States Paper Collar Manufacturers’ Association, countering that Lockwood’s patent claims were indefensible in the court of law. And together they launched a public relations offensive to reassure their customers and associates. S. W. H. Ward baited Union Collar with a $20,000 reward if they went ahead with the lawsuit they had long threatened but never actually filed. Lockwood eventually did begin pressing cases in Massachusetts, New York, and Pennsylvania, and one progressed as far as the U.S. Supreme Court. Results were not what he had hoped. The courts struck down key claims of the Hunt, Gray, and Evans patents, on the grounds that they were not sufficiently original. In the end, only the machines were deemed patentable—not the paper itself, nor the making it into collars, nor the embossing or finishing of them. 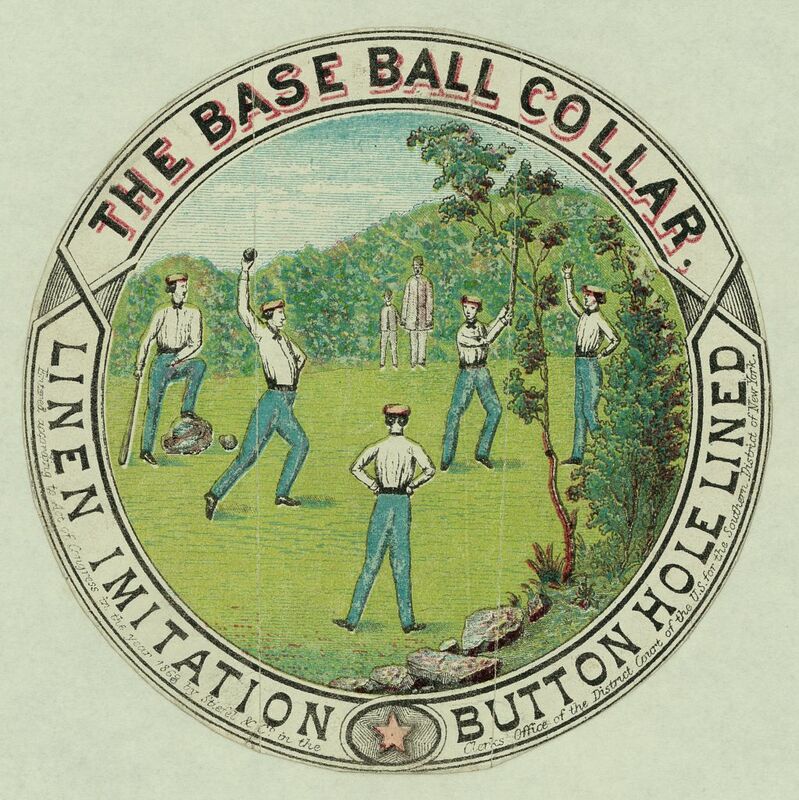 At bottom, Union companies held no exclusive claim to the basic concept of the paper collar. At a time when paper collars had come to symbolize a restless, seemingly self-inflated new world of commerce, this was an outcome tinged with irony. Speculators who had sought to capitalize on a burgeoning industry by taking out patents were, in the end, rebuffed. The bubble had burst, and it was the actual, physical machines—rather than general concepts alone—that withstood the test of the law. Meanwhile, makers of paper collars were free to go on flooding the markets from all corners, attiring the very types of men whose way of life had been dealt a blow.